Our Trueform chart highlights how well Newcastle have done in their last couple of Premier League games and they could be worth sticking with at Tottenham. Spurs are also seeking a hat-trick of top-flight triumphs but have only scraped through their victories over Fulham and Watford. With the hosts still hit by injury problems, 19/10 for the Magpies to avoid defeat at Wembley is our initial Tottenham vs Newcastle prediction. Tottenham do deserve credit for bouncing back from a couple of cup defeats to come from behind and beat the Hornets here on Wednesday. Spurs trailed to Craig Cathcart’s first-half header, but Son Heung-min marked his return from Asian Cup duty with an 80th-minute equaliser and Fernando Llorente bagged a late decider. Mauricio Pochettino said: “With all the circumstances, I think finishing in that way after 90 minutes is a fantastic way to end that negativity that was around in the last few days. Despite the absence of Harry Kane and Dele Alli, Spurs are still keen to play in a positive manner and Newcastle will need to be on song again to match them. Looking at the Tottenham vs Newcastle odds, we like 21/20 for both teams to score. Last Tottenham line-up: Lloris, Rose, Alderweireld, Vertonghen, Sanchez, Aurier, Winks, Sissoko, Eriksen, Son, Llorente. Ben Davies (groin) is another absentee for Spurs, while Son will be monitored to see whether he can start after his midweek exertions against Watford in his first game back from international duty. 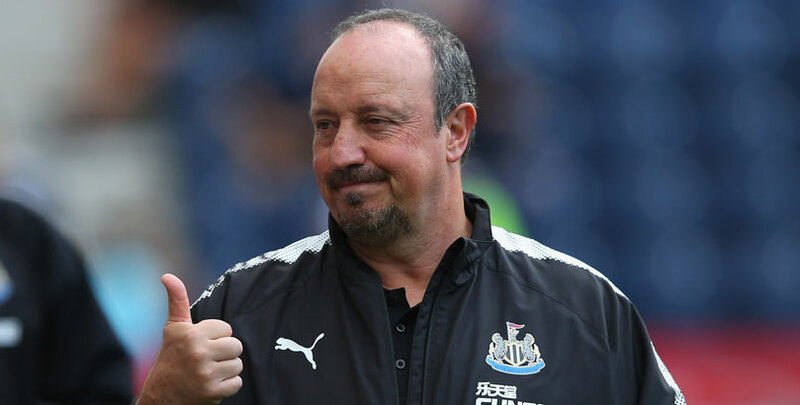 Newcastle have pulled clear of the relegation zone in impressive fashion by beating Cardiff 3-0 and then upsetting champions Manchester City 2-1. The Magpies were stunned when Sergio Aguero struck after just 25 seconds on Tuesday night, but Salomon Rondon’s 66th-minute leveller and a Matt Ritchie spot-kick secured an unlikely triumph. Rafael Benitez isn’t the kind of manager to get carried away and he quickly reminded his players not to rest on their laurels. However, bringing in Paraguayan midfielder Miguel Almiron for a club-record transfer fee of £21million from Atlanta United should only add to the feelgood factor on Tyneside. Let’s finish off our Tottenham vs Newcastle betting tips by taking 9/2 for the Magpies to prevail in the ‘draw no bet’ market. Almiron will not make his Newcastle debut just yet as he awaits the issue of his work permit, but fellow deadline-day arrival Antonio Barreca, who has joined on loan from Monaco, is available. Mohamed Diame (hip), Paul Dummett (hamstring), Jonjo Shelvey (thigh), Ki Sung-yueng (hamstring) and Joselu (ankle) are still out.